This product is expected to ship on Wednesday, April 24 if you place your order within the next -2 hours and 34 minutes. Are you looking for a more unique look for your plaques? 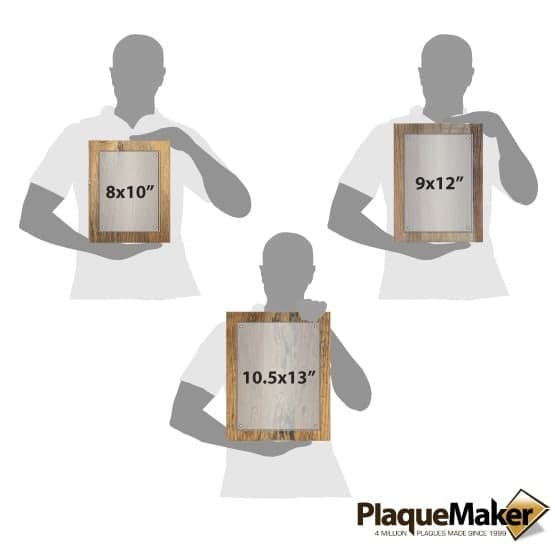 At PlaqueMaker.com, we offer our reclaimed wood floating acrylic plaques in three different sizes: 8x10, 9x12, and 10.5x13. These "floating" acrylic pieces are held onto the reclaimed wood board using magnets, offering a more unique way to display your plaques. 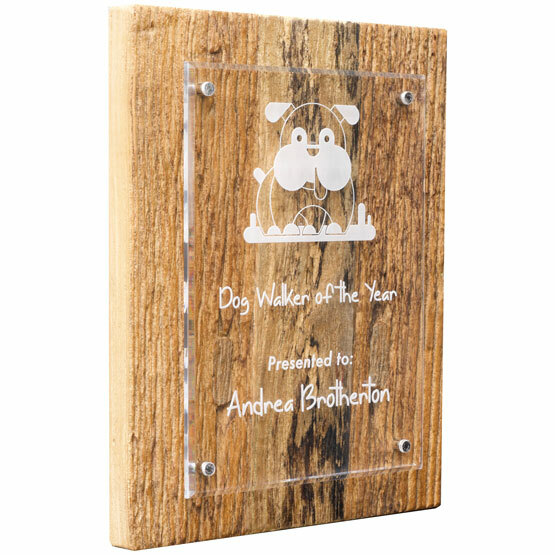 Additionally, our floating acrylic plaques are made from reclaimed driftwood, giving it a rustic look that can be the polished touch to fit any room. We offer laser engraving for your unique, customized text and image, which results in frosted white coloring for a classic look. 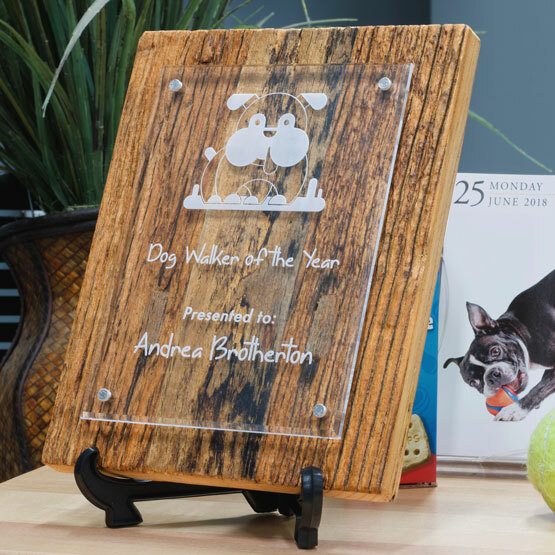 You also have UV color printing available to add some extra pizazz to your acrylic plaque and to really set it off against the driftwood backdrop. At PlaqueMaker.com, we know that customization and quality are important, which is why we only offer the top products to fit your needs. Order yours today!